Lincoln you beat me to it Damn it HA! I have always wanted to draw a portrait of these two boys. I see many people outside my window when drawing and sometimes call them up for photo studies. 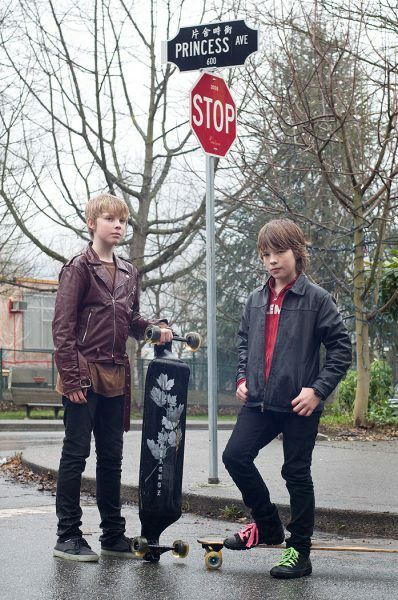 These kids are always skating by and I have thought they would make a great study. Nice photos. My Assistant (Mikey) met Douglas Coupland at “WIGGLE” and had a nice chat with him last night so I wanted to find the young image of Doug to show Mikey. I got lost in your photos. Nice one! Looking more poised than posed. Lots of great shots throughout.